A friend at work has such a talent for decorating our office so beautifully, especially for holidays! 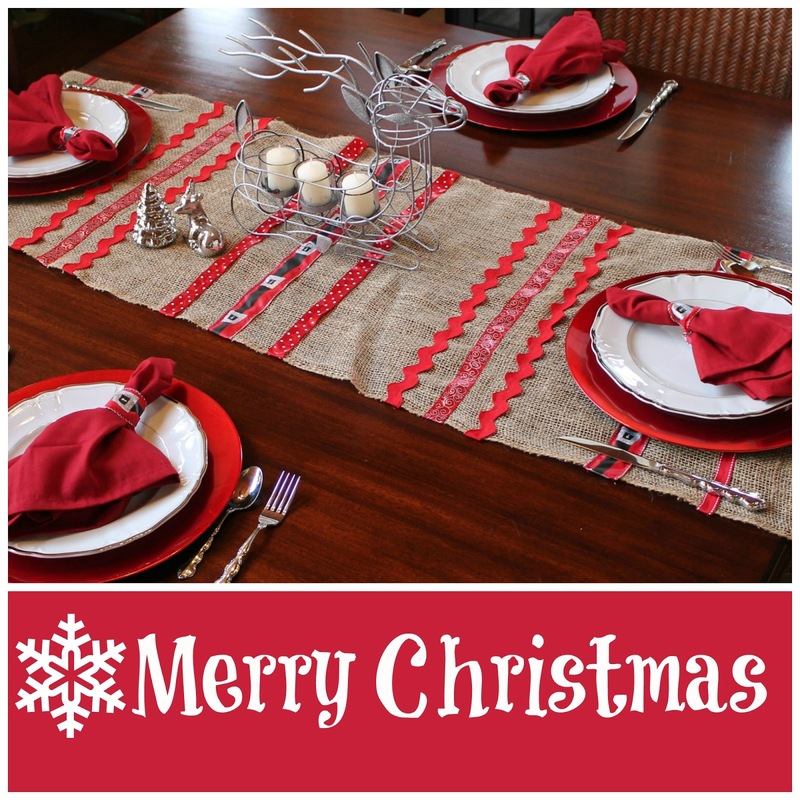 She had a really cute Christmas table runner on a table in the entrance of our main office. She had found it at a local hobby store several years ago. I liked it so much, I decided to make a similar one for my home for the holidays. 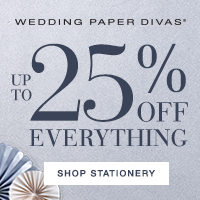 I purchased the ribbon and thread at Wal-Mart. 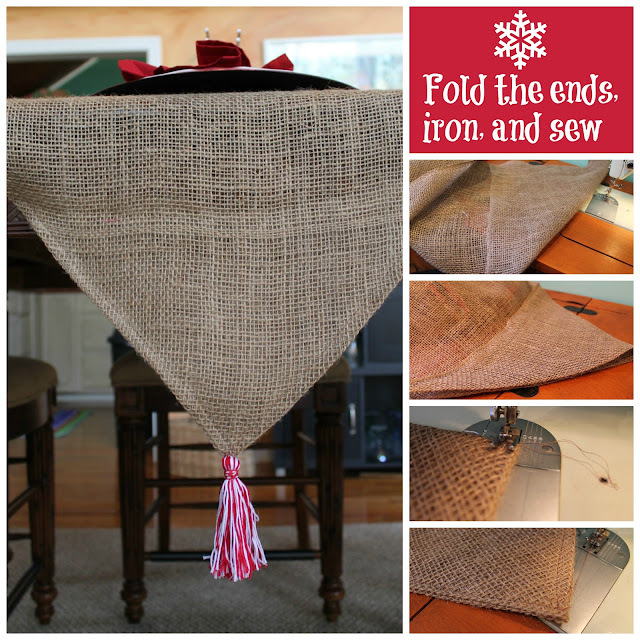 I used 18" wide burlap that I purchased from Hobby Lobby. 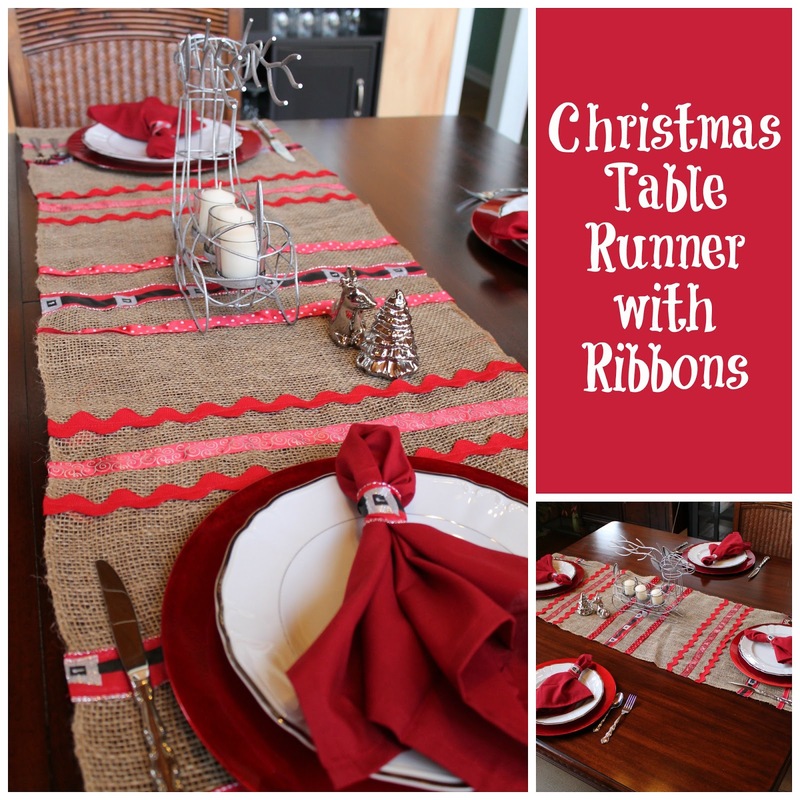 This is great for a runner as the sides are selvaged so you don't have to worry about sewing the longer edge. I folded the ends up in a triangle and then pressed it so that it would be more secure. Then I sewed the edges to make a point. 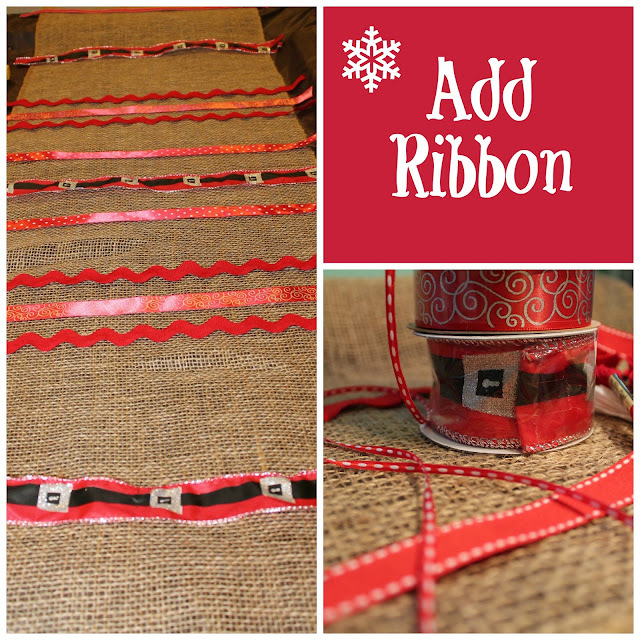 I cut my ribbon 20 inches long so it would wrap under the long edge of the runner. 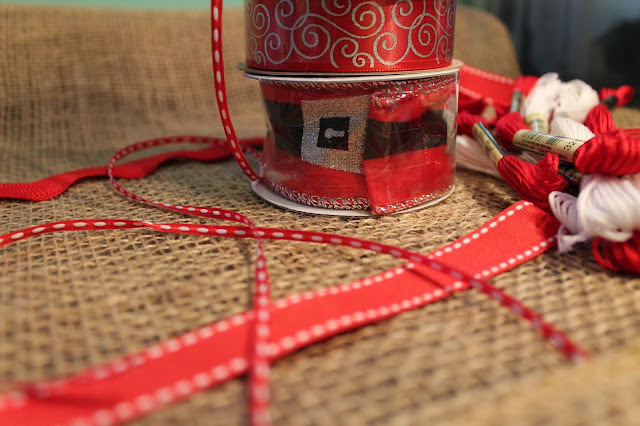 Then I decided on the placement and sewed the ribbon in place. 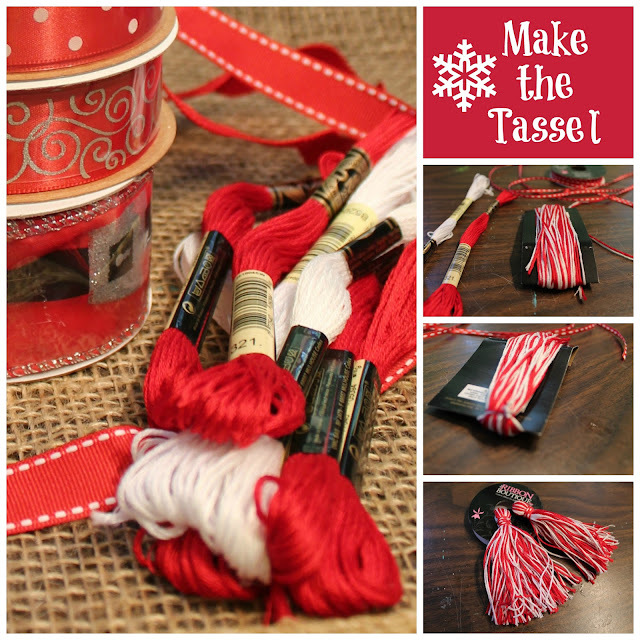 I made red and white tassels by wrapping a strand of red and a strand of white together around a card. I tied one end of each tassel, then wrapped the tassels with cute red and white ribbon. I trimmed the ends and hand-sewed the tassels to the ends of my table runner. I love the red and white colors and combinations of ribbons, especially the santa ribbon! Enjoy the holidays and keep surfing, pinning, and creating! Thank you Linda! I appreciate the comment!